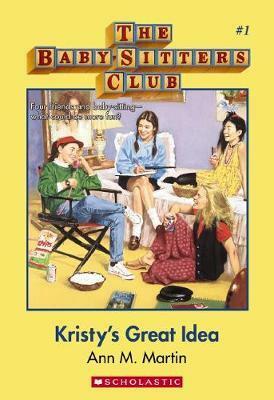 Kristy thinks the Baby-sitters Club is a great idea. She and her friends Claudia, Stacey, and Mary Anne all love taking care of kids. A club will give them the chance to have lots of fun-and make tons of money. But nobody counted on crank calls, uncontrollable two-year-olds, wild pets, and parents who don’t always tell the truth. And then there’s Stacey, who’s acting more and more mysterious. Having a baby-sitters club isn’t easy, but Kristy and her friends aren’t giving up until they get it right!